Fill a spray bottle with water and spray oven generously. Generously sprinkle baking soda over the water. Leave overnight. The next day wipe out much of the baking soda and grime. Soak a sponge in hot water, squeeze out excess water and scrub the inside of the oven with liquid dish detergent first drizzled over the sponge. Preheat oven to 200° then turn off oven. In an ovenproof dish, fill with ammonia and set on middle rack of oven (about 1 to 2 cups of ammonia). In another ovenproof dish, fill with boiling water and set on bottom rack of oven (2 cups). The next morning, remove dishes and wipe down the oven with a hot wet sponge first drizzled with baking soda. Combine ingredients in a spray bottle and shake to mix. Spray mixture in oven generously. Sprinkle generous amounts of baking soda on top. Spray liquid mixture over the baking soda. 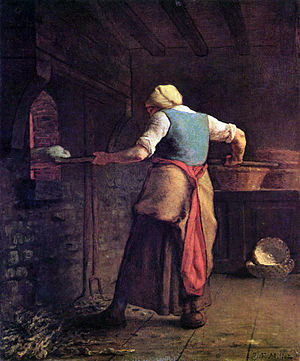 The next morning wipe out the cleaning mixture and wash the oven with hot soapy water. Spray oven well with water. Mix together the dry ingredients then sprinkle over the water. Leave overnight. Wipe out the next morning and scrub oven with hot soapy water. You can also use this homemade softscrub cleaner for the next day’s scrubbing after using one of the methods above. 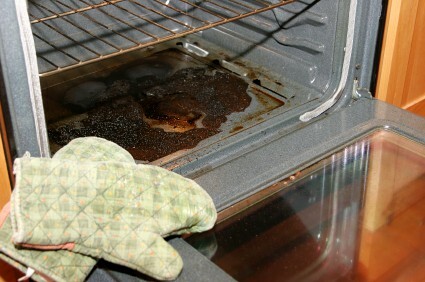 via Homemade Oven Cleaner Recipes : TipNut.com. This entry was posted in appliances, cleaners, environment, family, home and tagged Oven, salt, Sodium bicarbonate. Bookmark the permalink.